fran?ais | espa?ol | ??????? The ILO’s flagship report shows that while the global unemployment rate is stabilizing, unemployment and decent work deficits will stay at persistently high levels in many parts of the world. GENEVA/DAVOS (ILO News) – As the global economy recovers but with a growing labour force, global unemployment in 2018 is projected to remain at a similar level to last year’s, says a new report by the International Labour Organization (ILO). According to the World Employment and Social Outlook: Trends 2018, the global unemployment rate has been stabilizing after a rise in 2016. It is expected to have reached 5.6 per cent in 2017, with the total number of unemployed exceeding 192 million persons. As the long-term global economic outlook remains modest despite stronger than expected growth in 2017, the report attributes the positive trend between 2017 and 2018 mainly to the strong performance of labour markets in developed countries, where the unemployment rate is projected to fall by an additional 0.2 percentage points in 2018 to reach 5.5 per cent, a rate below pre-crisis levels. In contrast, employment growth is expected to fall short of labour force growth in emerging and developing countries, but has nevertheless improved compared to 2016. The report highlights the fact that the significant progress achieved in the past in reducing vulnerable employment has essentially stalled since 2012. This means that almost 1.4 billion workers are estimated to be in vulnerable employment in 2017, and that an additional 35 million are expected to join them by 2019. In developing countries, vulnerable employment affects three out of four workers. On a more positive note, the report notes that working poverty continues to fall in emerging countries, where the number of people in extreme working poverty is expected to reach 176 million in 2018, or 7.2 per cent of all employed people. The authors also highlight the fact that participation rates among women remain well below those for their male counterparts. Women are also more likely to face inferior quality of jobs and lower salaries. Looking at shifts in the sectoral composition of employment, the report notes that service sector jobs will be the main driver of future employment growth, while agriculture and manufacturing employment continue to decline. Since vulnerable and informal employment are prevalent in both agriculture and market services, the projected employment shifts across sectors may have only limited potential to reduce decent work deficits, if not accompanied by strong policy efforts to boost job quality and productivity in the service sector. “Besides the challenge a growing number of retirees creates for pension systems, an increasingly ageing workforce is also likely to have a direct impact on labour markets. 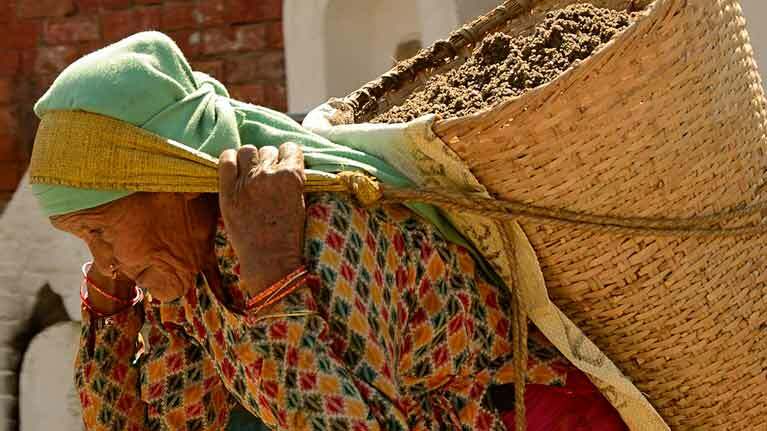 Ageing could lower productivity and slow down labour market adjustments following economic shocks,” says the ILO’s Director of Research Department a. i., Sangheon Lee. The unemployment rate should decline from 11.7 per cent in 2017 to 11.5 per cent in 2018. The number of unemployed remains steady at 8.7 million amidst strong growth in the labour force. Globally, the region features the highest unemployment rate driven by large gaps for youth and women who are significantly over-represented among the unemployed. The unemployment rate is expected to reach 7.2 per cent, essentially remaining unchanged. The number of unemployed should increase by 1 million due to the region’s high levels of labour force growth. More than one in three workers is living in conditions of extreme poverty, while almost three out of four workers are in vulnerable employment. Unemployment is likely to decline from 4.7 per cent in 2017 to 4.5 per cent in 2018. This is driven by a decline in the unemployment rates in both Canada and the United States. The unemployment rate is projected to decrease only marginally, going from 8.2 per cent in 2017 to 7.7 per cent by 2019. Considering that the regional unemployment rate was as low as 6.1 per cent in 2014, the region is still far from fully recovering from the employment losses of recent years. Labour market conditions are expected to remain relatively stable, with the regional unemployment rate projected to slightly decline to 8.3 per cent in 2018 and to edge upward in 2019. As a result, almost 5 million people will be unemployed in 2018, with women accounting for almost one third of the unemployed pool despite representing only 16 per cent of the regional labour force. Unemployment should remain low by international standards and rather stable over the forecast period, at 4.2 per cent. This is largely due to the fact that the region is expected to continue to create jobs at a fast rate. The number of employed persons is projected to grow by some 23 million between 2017 and 2019. Vulnerable employment affects almost half of all workers, more than 900 million, in the region. Sustained by better-than-expected economic activity, the unemployment rate is projected to have decreased from 9.2 per cent in 2016 to 8.5 per cent in 2017, the lowest rate since 2008. The largest reductions in unemployment rates, of the order of 2 percentage points, are likely to be seen in Spain and Greece (15.4 and 19.5 per cent respectively in 2018). The unemployment rate should also continue to fall in 2018 in Italy, Ireland and Portugal but at a slower pace than over the period 2015-2017. It should remain stable in France and in the UK, although in the latter country it is expected to slightly edge upward in 2019. As economic growth rebounds considerably, the unemployment rate is projected to decline, but only modestly, reaching 5.3 per cent in 2018 from 5.5 per cent in 2017. This reflects falling unemployment rates in countries such as Poland, Ukraine and Slovakia, only partly offset by the expectation of growing unemployment in the Czech Republic. The relatively strong rebound in economic growth is only partially translating into falling unemployment. The regional unemployment rate is expected to remain at around 8.6 per cent throughout 2018 and 2019. Vulnerable employment remains persistently high, affecting more than 30 per cent of workers in 2017 but it is estimated to slightly decline over 2018 and 2019 (0.6 percentage points). 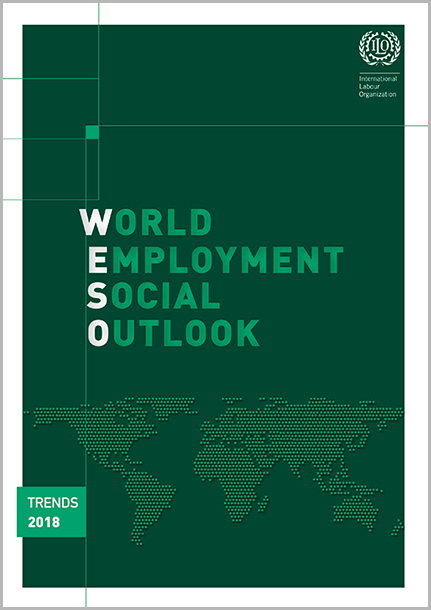 Global estimates for unemployment and working poverty have been revised in the 2018 WESO Trends report following improvements in data and estimation methodologies but numbers are still comparable and trends are consistent given that the improved methodology is applied to earlier years. 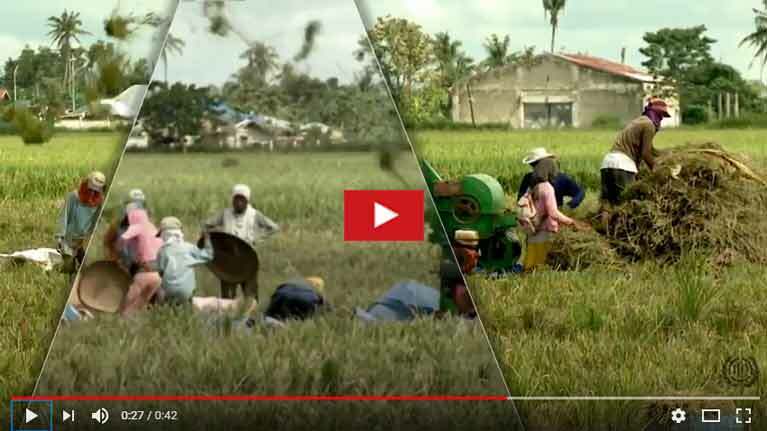 “The improved methodology is part of the ILO’s continuous effort to make indicators more accurate and comparable across countries and regions," says Steven Kapsos, head of the Data Production and Analysis Unit at the ILO. "Even though the number of unemployed people has been revised downward compared to those presented in the WESO Trends 2017, the revision only reflects the use of improved data and estimates. The new numbers do not reflect a better-than-expected global labour market outlook or sinking unemployment numbers,” says Stefan Kühn. Sports betting mobile phone software?????? ?